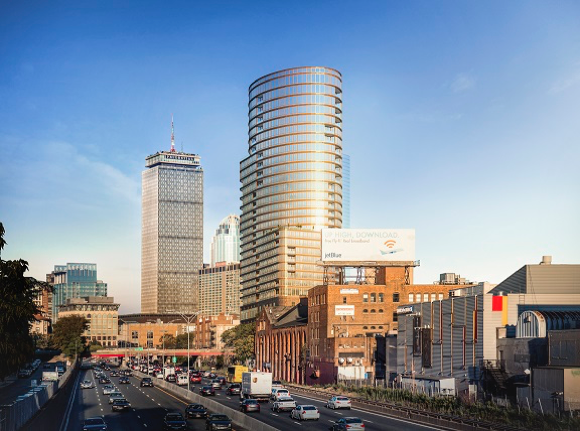 As Developer Advisor to Trans National Properties WSV’s Justin Krebs led all facets of TNP’s response to the City of Boston’s Request for Proposals for the redevelopment of the 1.2 acre Winthrop Square Garage site. TNP owned a small office building on the half-acre site abutting the Winthrop Square Garage site and was tentatively designated in 2006 for its redevelopment, but lost this designation in 2014. Krebs began advising TNP in early 2015 and completed preliminary conceptual designs and TNP’s response to the City’s Request for Information. Throughout 2015 Krebs worked to advance the design, underwriting, and budgeting of the proposed project, which culminated in a 2016 Proposal for a 1.8 million square foot mixed-use two tower project consisting of 600,000 square feet of office, 65,000 square feet of retail, a 60,000 square foot Entrepreneur Innovation Center and over 700 units in the residential towers. Krebs also secured Toll Brothers Apartment Living as a Development Partner for the residential component of the Project. The Proposal secured a finalist position in the process for TNP, but TNP was outbid by Millennium Partners in Summer 2016. As Developer Advisor, Justin Krebs led all facets of conceptual design and initial permitting of the proposed residential project on behalf of Trans National Properties. The proposed 340 foot, 295-unit apartment and condominium project will have a significant impact on the gateway to the Fenway neighborhood, and includes substantial mitigation and improvements to the Boylston and Ipswich Street corridors. Krebs identified a unique zoning opportunity, a “gateway designation,” one of only 2 in Fenway that allows a substantial variance from the as-of-right zoning of 135 feet. The project will also involve major improvements to public open space and pedestrian safety, and will enhance the blighted Ipswich Street corridor near Fenway Park. Mr. Krebs leveraged relationships with the BPDA and local arts organizations which support Boston’s underprivileged high school student artists, including Artists for Humanity & the Boston Arts Academy, to secure a grant for Arts Fenway, the start of an arts-driven improvement to the Ipswich Street Corridor. Trans National Properties ultimately decided to sell the site in 2018.